Dr Emma Williamson, Senior Research Fellow in The Centre for Gender and Violence Research, School for Policy Studies, discusses how the current storyline in The Archers raises the question of what justice means when it comes to abuse? As with the issue of coercive control more generally, the programme makers are tackling an important aspect of the experience of abuse, namely what is justice when it comes to abuse? This links directly to our current ESRC funded research which is looking at Justice, Inequalities, and Gender Based Violence. This research includes looking at police case files to examine the trajectory of different cases in relation to inequalities and different types of abuse. In addition, we are currently recruiting victims/survivors to speak to us about their experiences of different types of gendered abuse and justice. This includes adult men and women who may have experienced forced marriage, sexual violence, sexual abuse, ‘honor-based’ crimes, and domestic violence and abuse. This project looks beyond the narrow focus of justice in terms of the police and courts, although this is not excluded, and includes people who, for a range of reasons, haven’t reported to the police or have used alternative forms of justice. This project, like the current Archers storyline, is intended to illustrate what justice and injustice look like, and how formal and informal responses to abuse can highlight the wider responsibilities of society to address the issue and take a stand. Whatever the outcome in The Archers, the everyday reality for many victims/survivors is that the very idea of ‘justice’ is more complex than a court outcome. Domestic abuse doesn’t just impact on the victims/survivors, but the perpetrators themselves (research shows they have higher rates of depression and anxiety), friends and family members, as well as wider communities. This is all too real for those who have themselves or know someone who has experienced abuse. 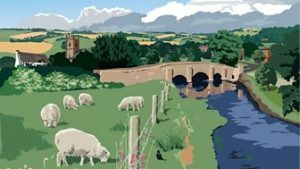 The Archers storyline sheds a light on the wider impacts of abuse as the manipulation of the perpetrator affects a whole raft of relationships within families and communities. Irrespective of whether Helen gets ‘formal’ justice in the coming weeks, the damage to those relationships will continue for many years to come. Some would question therefore whether we can ever get ‘justice’ when so many harms go unanswered. We look forward to following the fictional court case as well as the on-going struggles which the main characters and the Ambridge community as a whole face as they come to terms with the impact of abuse. We once again commend the writers for staying true to the victim’s story and not turning away. This entry was posted in Uncategorized by policystudies. Bookmark the permalink.